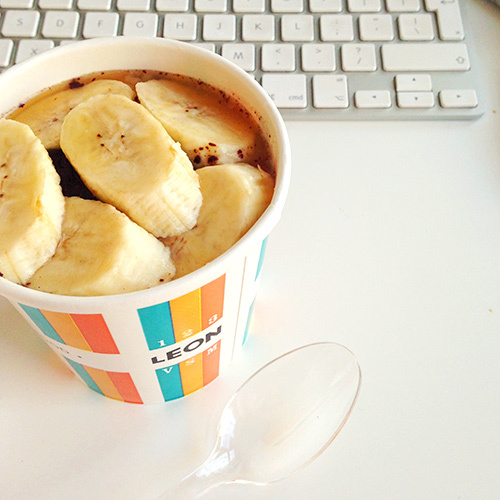 1 large pot serving of Leon Porridge of The Gods which has chunks of chocolate, blossom honey and banana. 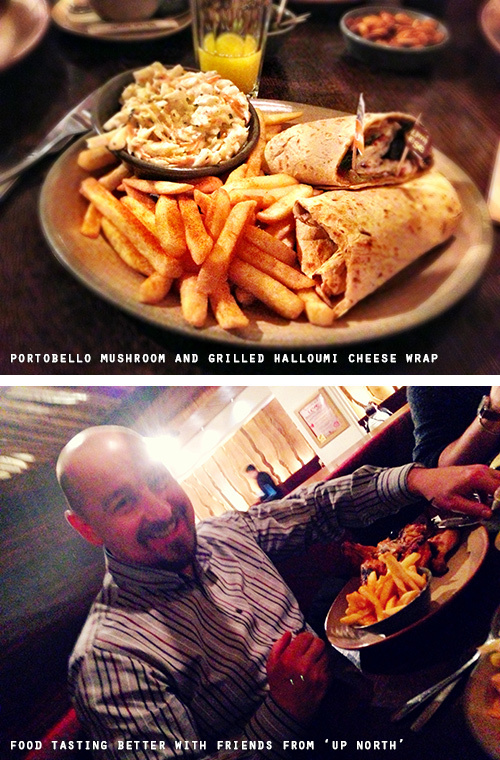 Nando’s lunch with good friends that were visiting from Up North – Grilled Halloumi & Portobella Halloumi Cheese Wrap with fries and coleslaw. Nando’s wrap wass filled with lettuce, chilli jam and yoghurt mayonnaise. I had mine with medium PERi-PERi sauce which gave it a nice kick. It was really delicious and so filling I couldn’t finish it all. Have you been to Nando’s and tried a veggie dish? 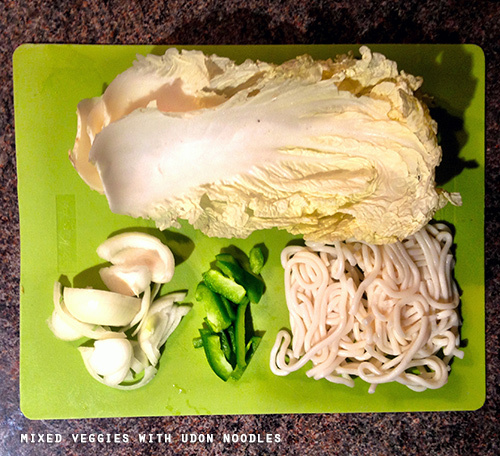 Stir-Fried Udon Noodles with Chinese cabbage. This is a great dish! Easy to make, super healthy and quick – great for a light snack too! Cook udon noodles according to package directions. Drain. Heat oil, garlic, ginger in wok 1 minute over medium heat. Add onions and green peppers, and stir-fry 2 minutes. Add shredded cabbage, and stir-fry 5 minutes, or until greens wilt. Fold in udon noodles and soy sauce and oyster sauce, and cook 3 minutes (you might want to add a little bit of water if the noodles start sticking to the wok). Sprinkle with spring onions (optional).